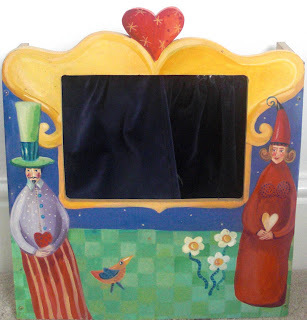 I made this theatre a couple of years ago purely because I had bought these gorgeous papier mache finger puppets in a delightful theatre shop in Barcelona....never finished the theatre! love (!) 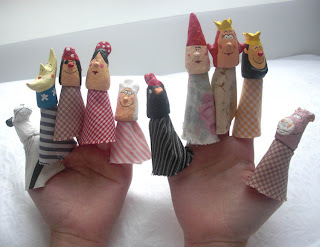 these finger puppets - a LOT! ....and your theater. we need to figure out what on earth to do with your talent! you blow my mind, lady!